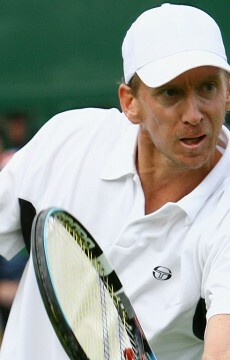 Fourteen former top 10 players will return to the court this month to contest the annual Legends event at Australian Open 2013. The all-star line-up, which includes five former world No. 1s, will join the action at Melbourne Park from 19-25 January. 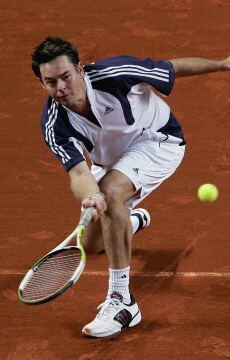 The eight-team men’s doubles field will feature former world No. 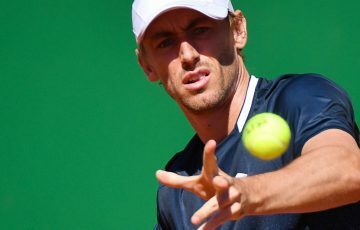 1 and three-time Australian Open singles champion Mats Wilander, 2001 Wimbledon champion Goran Ivanisevic, crowd favourite Henri Leconte and former top 10 players Guy Forget, Thomas Enqvist, Cedric Pioline and Wayne Ferreira. 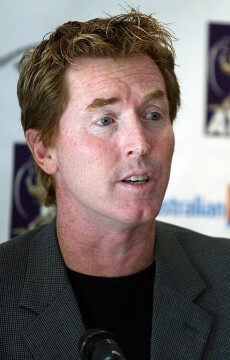 Aussie favourites Mark Woodforde and Todd Woodbridge, who together claimed two Australian Open men’s doubles titles in 1992 and 1997, will fly the flag for Australia alongside 1987 Wimbledon champion Pat Cash, Wayne Arthurs and Darren Cahill. 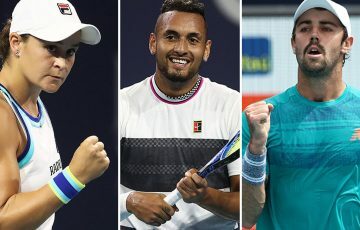 The four-team women’s draw features four former world No.1 players – Martina Navratilova, Amelie Mauresmo, Lindsay Davenport and Martina Hingis – alongside Iva Majoli, Barbara Schett and Australians Nicole Bradtke and Rennae Stubbs. 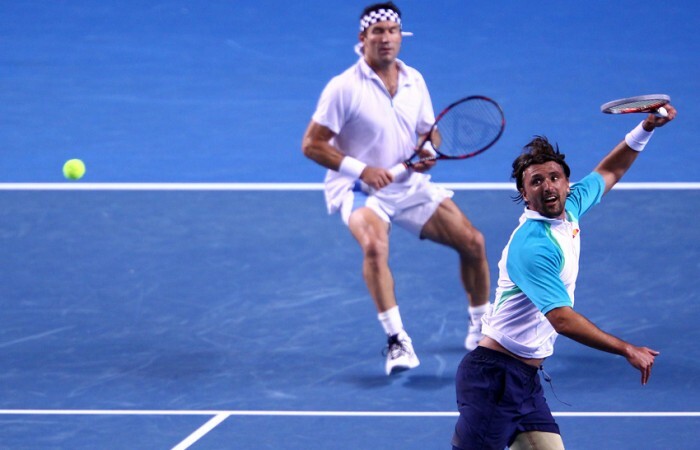 Fan favourite Henri Leconte, who teamed with countryman Guy Forget to take out the men’s Legends title at Australian Open 2012, will make a welcome return to Melbourne Park. Leconte has attracted a new generation of followers in recent years thanks to his colourful on- and off-court antics. “We have nothing to prove any more, we have no pressure. 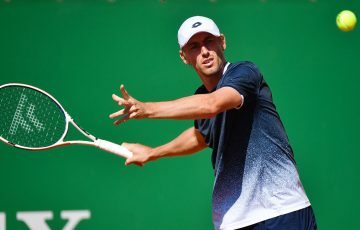 It’s nice to be here playing and having fun, and to make everybody happy and to play good tennis,” said the former world No. 5 on a recent visit to Melbourne Park. 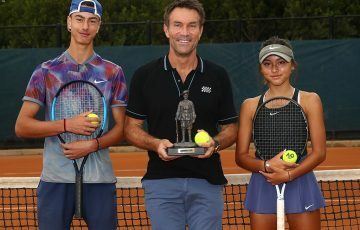 Todd Woodbridge and Mark Woodforde, winners of a shared 11 Grand Slam men’s doubles titles, will open the Legends event against Mansour Bahrami and Wayne Ferreira on Saturday 19 January. 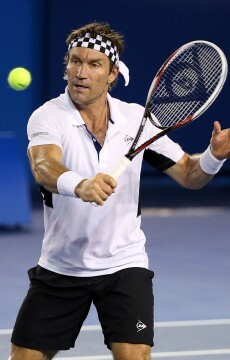 “The Legends line-up for Australian Open 2013 is another strong field. It’s really pleasing to have so many former top 10 players, including five former world No. 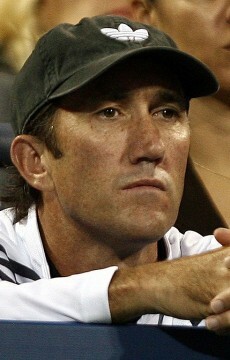 1s, heading to Melbourne Park to contest the two titles,” said Woodbridge, tournament director of the Legends event. 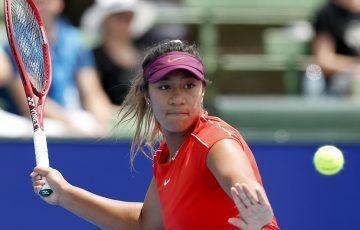 Also on 19 January, Nicole Bradtke and Rennae Stubbs will take on the formidable pair of Martina Navratilova and Martina Hingis in the opening match of the women’s draw. 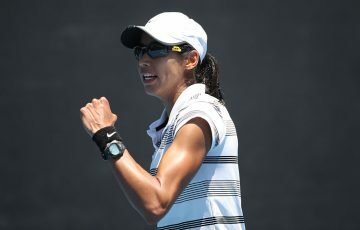 Tracey Austin and Barbara Schett won the inaugural women’s Legends event at Australian Open 2012.